Home / Walk Tall with Anti-Slip Flooring! It’s no secret that health and safety is a major concern for businesses worldwide, but the cause of most injuries in the workplace might surprise you – the common slip or trip. 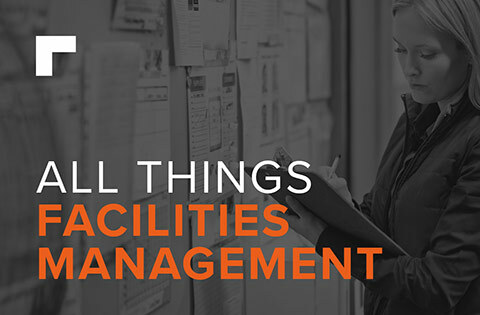 Often overlooked as minor incidents, these pose very real threats to the well-being of employees and the general public, as they can also lead to other more serious types of accidents. The figures speak for themselves, 86% of all injuries caused by slips and trips involve fractures, resulting in an average of 21 sick days per slip or trip and a significant 391,000 fatalities worldwide each year! As you can imagine, the resulting cost to employers is huge, not just in financial terms such as costly litigation, but also in damage to products, the plant or equipment. 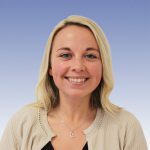 Employers can suffer production delays and in the most serious cases significant loss of reputation – the common slip and trip has a sting in the tail! The knock on effect of these accidents is also felt across the wider community, taking a significant toll on local health services as victims are signed off for long periods of time. Although slips and trips happen for a number of reasons, the main causes are down to the environment, flooring and footwear used in the workplace. In fact, according to the Consumer Product Safety Commission in the United States, flooring in particular contributes to more than 2 million fall injuries per year. This is a great example of the difference in the surface texture of an industrial resin system that can be achieved by installing anti-slip aggregates. In this shot the packaging company Taylor Davis needed a smooth finish on one side of the line but a traction-enhancing surface underfoot on the other side. 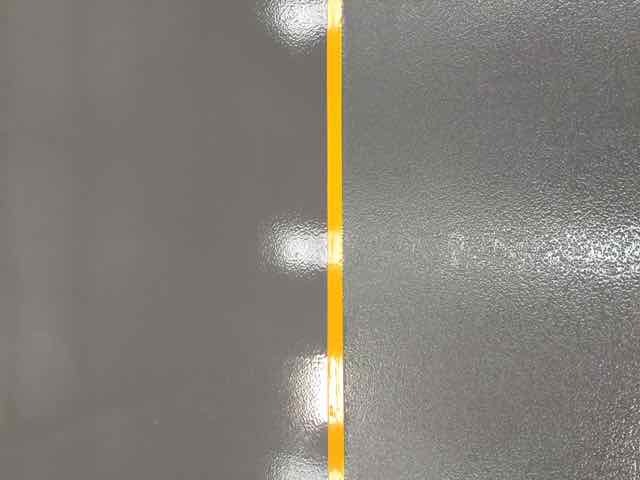 Packaging company Taylor Davis installed 3,500 m2 of Flowcoat SF41 in its packaging facility in Ferrybridge, West Yorkshire, due to the high performance, solvent free and chemical resistant properties of this epoxy resin coating. Creating specific areas of anti-slip flooring was an important part of the project. This was achieved by incorporating aggregates between coats of the Flowcoat SF41 to enhance traction underfoot. The hard wearing nature of this system means that it will maintain these properties despite sustained vehicle traffic as well as exposure to corrosive chemicals and the scuffs, impacts and attacks inherent to busy industrial facilities. Taylor Davis’ Business Development Manager, Wayne Weatherhead, acknowledged the importance of a floor that met the site’s operational needs. He said that their “clients and associates have all made comment on the new flooring and commending the standard of finish” and that thanks to the new floor “the site has been much improved”. 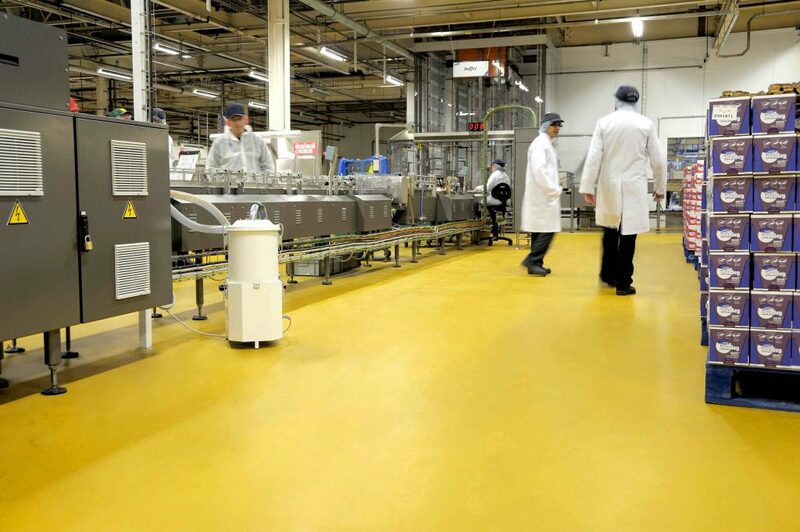 McVities’ Glasgow plant opted for a colourful, safe and hygienic polyurethane floor finish. McVities in Glasgow started out on a firm foot by installing a range of hygienic floor finishes across the plant’s Lines 14 and 19; equating to a total floor area of almost 3,000 m2. Flowfresh RT was chosen for Line 14, providing McVities with the balance of both a textured finish for slip resistance and a surface capable of easy maintenance and cleanability. 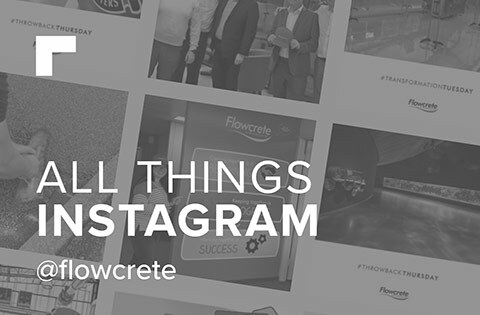 Flowfresh RT is an easy to apply, four-component, solvent free, heavy-duty polyurethane concrete screed product containing Polygiene®, an antimicrobial additive. The system delivers a hardwearing and hygienic surface with a speckled, anti slip finish for use in wet processing areas subject to high volumes of traffic – ideal for McVities’ high tech site. A smoother finished Flowfresh MF was also applied in areas immediately below line 14, to allow for ease of maintenance. Slip resistant Flowfresh MF was ideal for McVities packaging areas and processing zones that are subject to heavy foot and wheeled traffic. 3. Pale Fire Brewing Co. 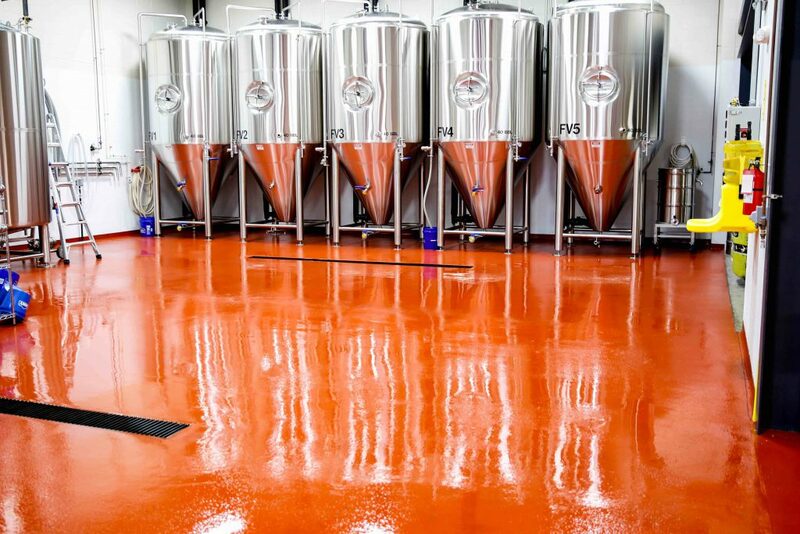 In this photo we can see how wet the brewery’s floor gets after it has been cleaned – without an anti-slip finish this could pose a serious hazard! 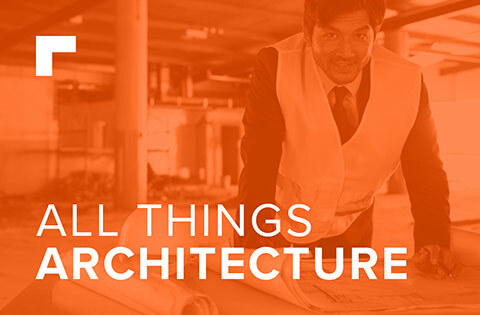 Located in Harrisonburg, Virginia, Pale Fire Brewing Co. wanted to find a robust floor that would withstand the challenging demands of high quality craft beer production in an 80-year-old building that was in the process of being renovated. The existing floor was unsuitable for the thermal shock, heavy pallets, dropped kegs and slippery conditions inherent to a brewery. Approximately 250 m2 of Flowfresh SL was laid down within just three days in the new production area, bottling line and storage rooms. A topcoat of Flowfresh SR Sealer was then applied to complete the floor’s seamless, impervious and highly durable finish. Slips and trips was a key brewery concern that the owner wanted to overcome, as spillages of beer, by-products and ingredients during the brewing process can all become dangerous hazards. The floor was installed with a full broadcast of anti-slip aggregates to help avoid such accidents. 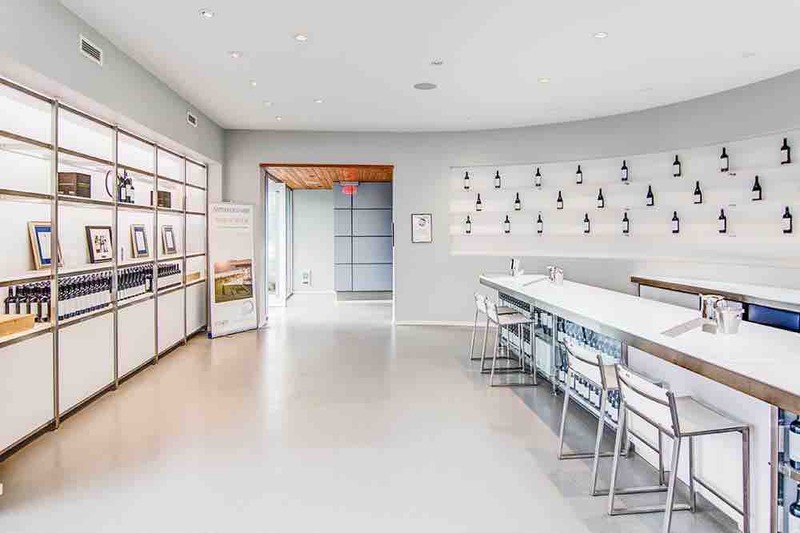 As part of Rock Estate Winery’s renovation project, the owners replaced its pre-existing white epoxy floor, which had been provided as part of the original construction but which had become slippery, dirty and at times dangerously bright in the low-hanging afternoon sunshine. To combat this and create a floor that would maintain its aesthetic and functional properties for the long term, Flowfast Quartz – a robust, wear resistant and fast cure MMA flooring system with a decorative quartz finish – was installed. Furthermore, Peran STB was laid inside the facility to provide a decorative, wear and slip resistant surface inside the main tasting lounge and bar area. Its texture creates an anti-slip surface that will help to minimise slips and fall in areas prone to excessive water exposure and spillages. This project shows the importance of making sure that both the production areas and customer facing zones of an industrial facility are safe and fit-for-purpose. 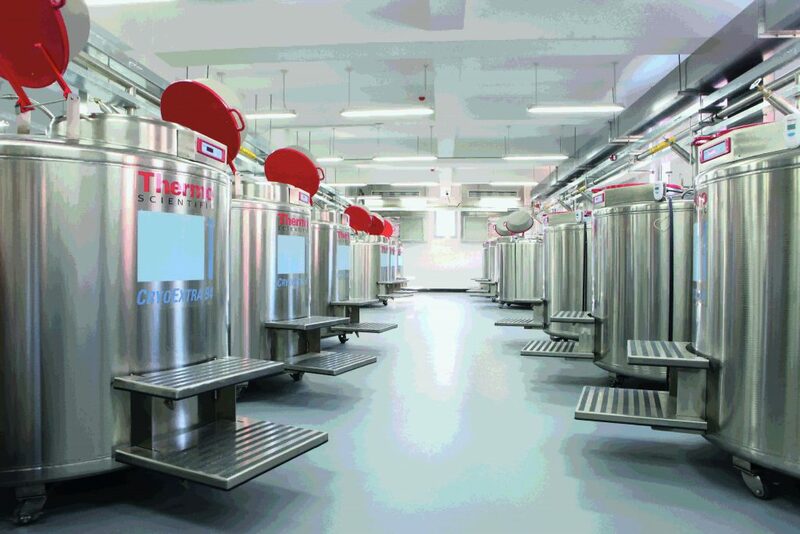 One of the largest centres for the diagnosis and treatment of cardiovascular diseases installed a new Flowcrete floor that matched their high working standards. To ensure that the floor in their liquid nitrogen libraries would withstand the demands placed upon it, Flowshield SL was installed with a topcoat of Flowseal UV over an 800 m2 area. The floor had to meet a long list of demands including withstanding nitrogen splashes at extremely low temperatures, providing a level platform, being anti-slip and highly chemical resistant. Due to the hospital’s rural location, insect invasion became a challenge during application, which could have affected the quality of the finish. This incident was overcome by constantly and diligently guarding the entire process, which meant that the project was successfully completed within the 10-day deadline. 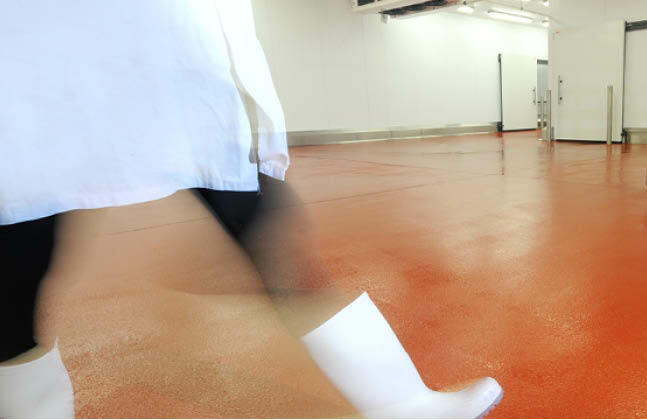 The diversity of slip resistant floors on offer means that there is a solution for any environment, whether it’s a wet seafood processing plant or a heavy manufacturing plant that needs to account for oils, greases and fuel. 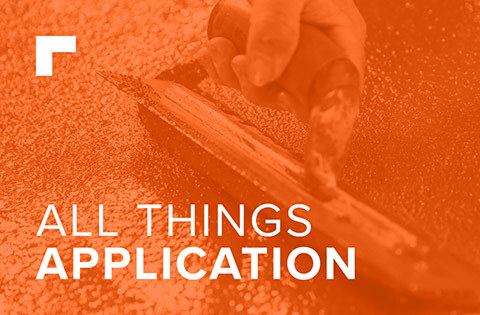 Find out more about anti-slip flooring systems here!